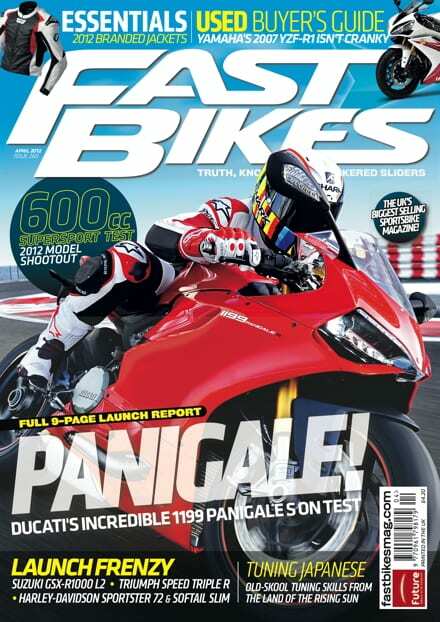 If you’ve not woken up the the massive benefits of subscribing yet, you better nip down your local newsagents and grab yourself a copy of the new issue of Fast Bikes – on sale NOW! Or if you’re too lazy to walk, you could always download the issue from Apple Newsstand, or Zinio if you’re an Android. This cornucopia of sportsbike hedonism is flooded with some of the most incredible new machinery you can buy – including a 9-page Ducati 1199 Panigale launch special, as well as a full launch reports on the new Suzuki GSX-R1000, Triumph Speed Triple R, and Harley-Davidson Softtail Slim & 72. Then there’s a massive 600cc supersport shootout with all the 2012 models battling it out on the road – where you’ll ride them most – chasing the best buy in this forgotten class of incredible bikes. Previous Post:Bike Trackday Trophy Goes Live – Register now!